One of the best things about being a food person is that your friends are inevitably food people. Food people are the best. They have usually worked in or around the service industry so they know how it feels to be treated every which way, and, unless they are completely jaded, are humorous, generous and courteous. They appreciate the reward of a well-earned meal and a great cocktail/beer/glass of wine at the end of a long day. They understand the art of food and drink, and are knowledgeable of flavors, ingredients and presentation, so they will play the game of "guess the herbs & spices" with you, and are typically Facebooking/Tweeting/Instagramming their adventures along with you, rather than waiting, annoyed, for you to finish so they can consume what is in front of them. When the Chef and I lived in L.A., we enjoyed the abundant selection of mezcal: tequila's smoky, lesser known and often misunderstood cousin. I made up a simple cocktail of Sombra Mezcal, orange juice, muddled strawberry, cayenne pepper, cinnamon and egg white, which I mixed often while the Chef prepared our midnight (or later) dinners. A year and a half ago when we moved to Vancouver, along with our quest for the perfect vintage cocktail bar (which we discovered quickly at 1927, the Lobby Lounge at the Hotel Georgia), we searched high and low for mezcal. I feel honest in saying it was nowhere to be found, because we can't count the near-rancid, undrinkable excuse that was the only option in any bar that claimed, "Well, yes, we have this ONE..." We had never heard of it, and after one try, we knew why. Disappointed and panicking, finally, a glimmer of hope. We began to hear whispers from sympathetic bartenders: "The BC liquor board is behind the times, but if you like mezcal, you have to meet Eric Lorenz. He's championing the influx of mezcal and agave spirits into BC." YES! An email address was slipped across a bar, contact was made ("Just moved from LA, in need of mezcal," the Chef's email read), and finally we met Eric at one of the restaurants stocking his products, El Camino. As previously described, Eric was just the type of person we love - generous, knowledgeable, with a big laugh and a bigger heart. After the first meeting, Eric invited us to a small gathering of friends at his house, to taste and discuss an array of mezcal. Of course we said yes, and of course the Chef offered to cook in exchange for this wonderful hospitality. In true Chef form, he skipped all the easy, obvious options and went straight for a 2-day 20-step Oaxacan mole with shrimp, adobo braised oxtail and an appetizer of scallop ceviche. The food was a hit. The mezcal was a hit. A great friendship was formed. A few months later, Eric and the Chef did a mezcal pairing dinner together at Legacy Liquor. Guests drooled over the Chef's grilled corn and scallop ceviche with raspberry sorbet, sous vide pork tenderloin mole "picadillo", and Mayan chocolate mousse, all paired appropriately with mezcal cocktails by local mixologist Shea Hogan and an edu-taining lecture by Eric. Eric has done an amazing job in a very short amount of time in expanding the horizons of the BCLDB, and his current catalog of imported agave spirits is incredible. He is a true champion of the product, working hard to introduce and demystify agave spirits into the minds of Canadians. This past weekend was the 2nd annual Agave Week and Vancouver International Tequila Expo, hosted by Lorenz Agave Spirits, and showcasing a number of tequila and mezcal brands that have just become available in BC, thanks a lot to Eric. 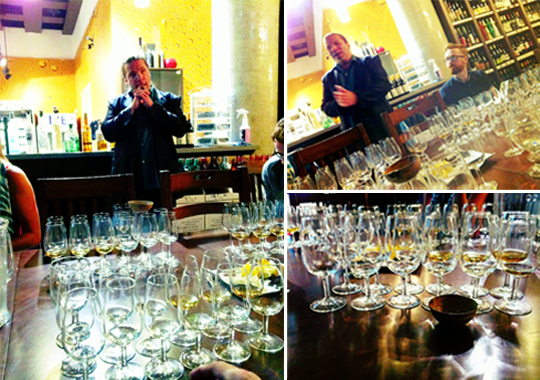 During Agave Week, Eric and his partner Zalorèn led classes from Sunday through Thursday at Legacy Liquor about tequila and mezcal, of course complete with LOTS of tasting. 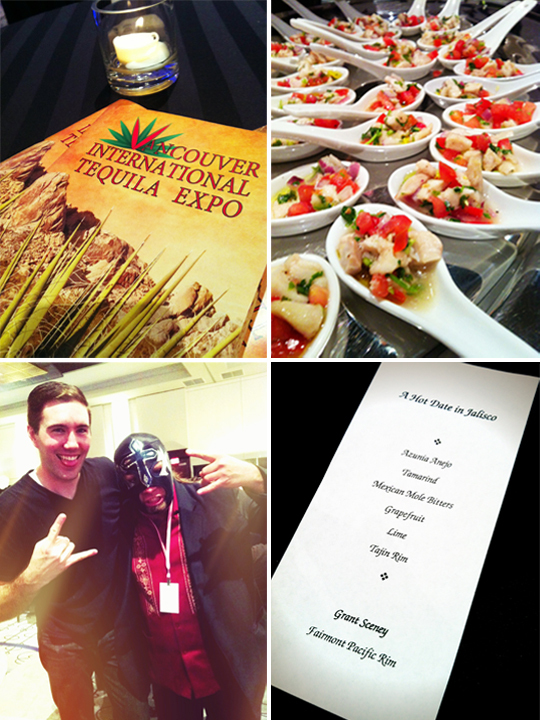 Friday night was the culmination of Agave Week, with the Tequila Expo held at the Hyatt Regency Vancouver. There were hundreds of guests, mountains of tequilas to taste, bites from local restaurants, and an Azuñia Tequila cocktail competition, of which the Chef was one of four judges. 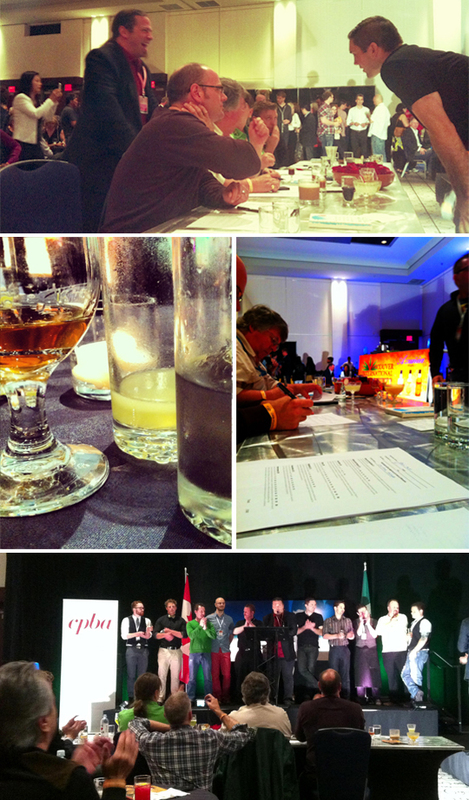 The winning concoction was A Hot Date in Jalisco by mixologist Grant Sceney of the Fairmont Pacific Rim. It was a well-balanced combination of añejo tequila; tamarind, grapefruit and lime juices; mole bitters; and a spicy rim, which will send Grant on a 4-day grand-prize trip to Mexico to experience the agave life. If you missed it this year, be sure to keep up and mark your calendars for next year. Meanwhile, buy a bottle of mezcal to share among friends, and see what you've been missing! Shoot! I'm hungry. And thirsty. 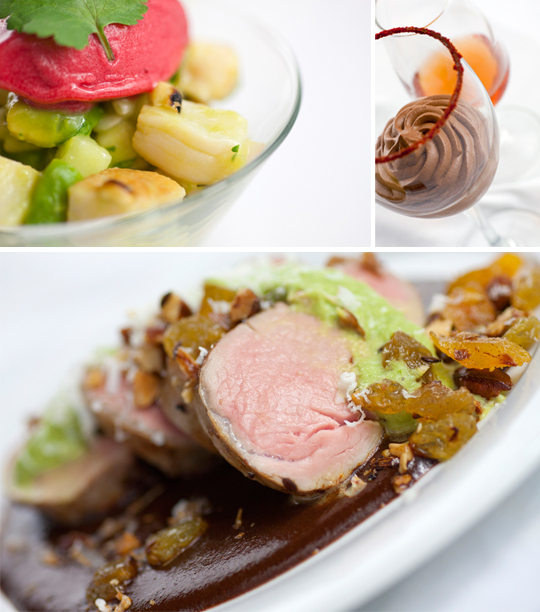 Photos ©Cara Tompkins Food Photography. Simple theme. Theme images by merrymoonmary. Powered by Blogger.